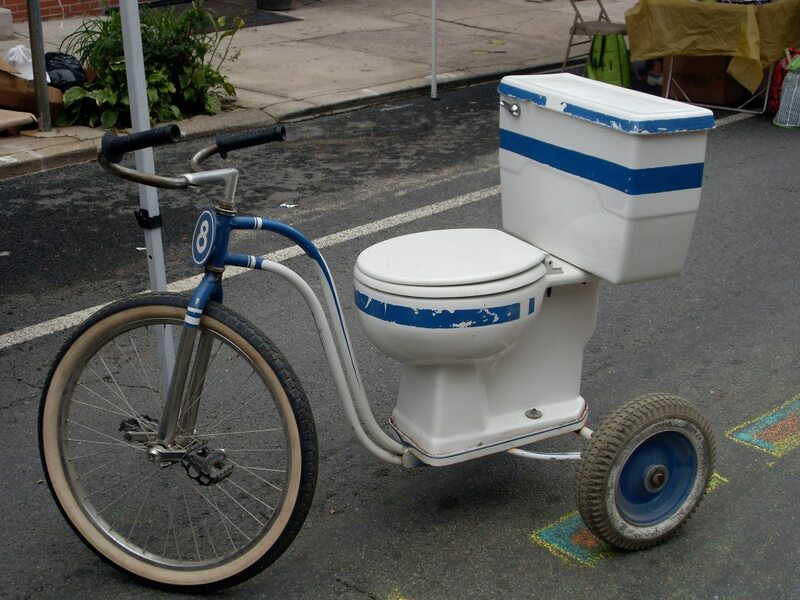 Bathroom Commode: Decent Enough ? The story is told of a lady who was rather old-fashioned, always quite delicate and elegant, especially in her language. She and her husband were planning a week's vacation in Florida, so she wrote to a particular campground asking for a reservation. 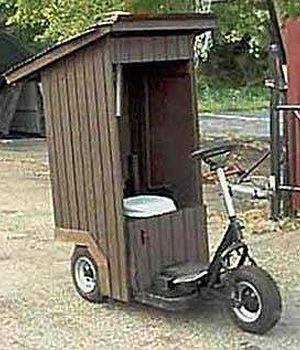 She wanted to make sure the campground was fully equipped, but didn't quite know how to ask about the toilet facilities. She just couldn't bring herself to write the word "toilet" in her letter. 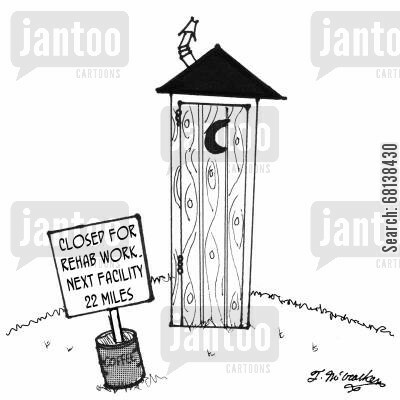 After much deliberation, she finally came up with the old-fashioned term BATHROOM COMMODE. But when she wrote that down, she still thought she was being too forward. So she started all over again and rewrote the entire letter referring to the bathroom commode merely as the BC. "Does the campground have it's own BC?" is what she actually wrote. Well, the campground owner wasn't old-fashioned at all, and when he got the letter, he just couldn't figure out what the woman was talking about. That BC business really stumped him. After worrying about it for awhile, he showed the letter to several campers, but they couldn't imagine what the lady meant either. I regret very much the delay in answering your letter, but I now take pleasure in informing you that a BC is located nine miles north of the campground and is capable of seating 250 people at one time. I admit it is quite a distance away, if you are in the habit of going regularly, but no doubt you will be pleased to know that a great number of people take their lunches along and make a day of it. They usually arrive early and stay late. It is such a beautiful facility and the acoustics are marvelous. Even the normal delivery sounds can be heard. The last time my wife and I went was six years ago, and it was so crowded we had to stand up the whole time we were there. It may interest you to know that right now a supper is planned to raise money to buy more seats. They are going to hold it in the basement of the BC. Marianne is always good for a first of the morning laugh! You're something young lady! Plus there is an alternative. 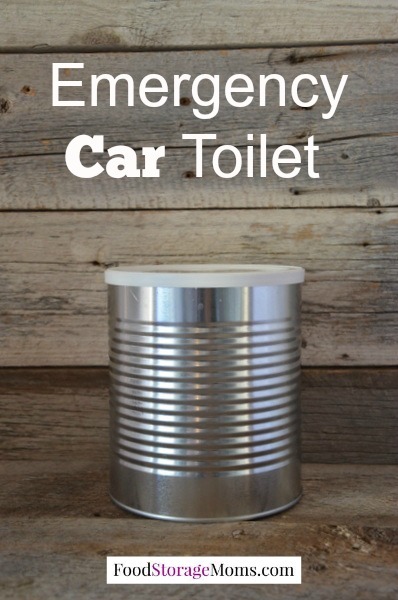 By the way, there are situations, in which you will appreciate to have an emergency car toilet. Oh Marianne, for me I am seeing this 11 PM! So funny when I check-in to SOLVED before I go to bed...ty! Lol - you're very welcome, Virginia, good to see you enjoying a good-night laugh; here, it is Sunday morning, and I woke up late. Do you have enough of these store closures? Are Worker/Owner Companies Functional Enough To Serve As An Economic Foundation? Huma Abedin has finally had enough of Anthony Weiner and his sexting; about time? Were you fortunate enough to have seen Liberace in concert?